NOBLESVILLE, Ind. 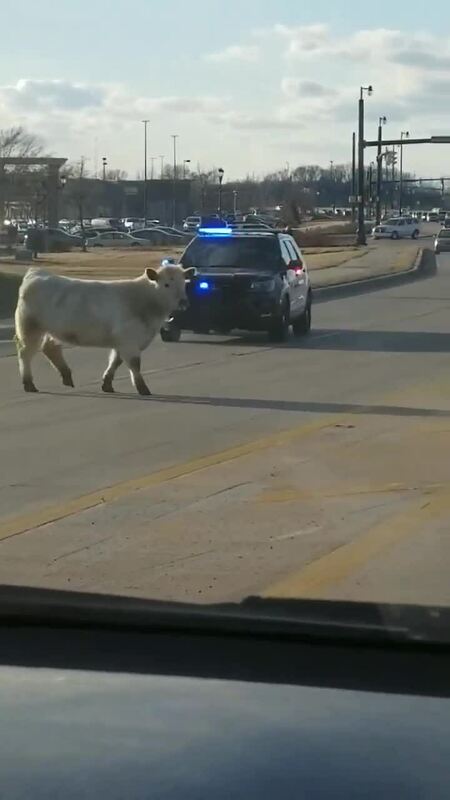 — Police in Noblesville, Indiana, were busy chasing a "wild bovine" Saturday evening around the city's eastside. At one point, the cow was spotted on video near Chick-fil-A.